As the seasons change and the weather heats up, it’s important to have the right air conditioner. Whether you’re looking to replace the old unit that you’ve had for years or you’re moving from a cool climate where it wasn’t necessary, finding the best unit for your family and home can be the difference between an uncomfortable summer or an indoor sanctuary from the heat outside. When you start looking to purchase a new air conditioning unit, there are a lot of things to consider before buying. Here are some of the most important aspects for homeowners to think about before getting the right appliance for their home. You’ll want to consider the size of the air conditioner in two different ways: for the dimensions of the window and the size of the room you want to keep cool. As Consumer Reports explained, an air conditioner that isn’t equipped for larger rooms will still cool the room, but won’t have enough time to remove moisture. You’ll get a sticky, cold room that’s unpleasant and not refreshing from the outside heat. Small air conditioners, somewhere in the 5,000 to 6,500 British thermal units per hour capacity range, can cover between 100 and 300 square feet, or about the size of a bedroom. 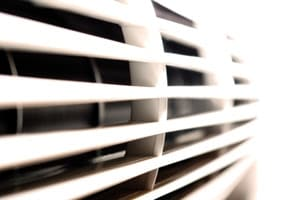 You’ll want to look at larger air conditioners that can go up to 12,500 BTU per hour to cover a much larger area, around 650 square feet, according to Consumer Reports. The best way to check sizes for installation is to simply measure. Larger and more powerful units are usually heavier and bulkier, and this should be taken into account when allotting for its space. Bring your window and clearance space measurements to your local air conditioner supplier so that you can bring the unit home and install it without any headaches. As National Geographic magazine explained, it’s important to know the right terms before looking at air conditioning units so that you know exactly what you’re in for. BTUs are the amount of energy needed to raise the temperature of 1 pound of water by 1 degree. One BTU is equal to 1,055 joules or 252 calories and measures the cooling capacity of the air conditioner you’re looking at. The number of BTUs can equate to certain square footages, which Energy Star compiled into a helpful chart for homeowners. EER is the abbreviation for energy-efficiency ratio. This number helps people measure the cool air output versus the electrical input. You’ll want a high EER, as this will mean that your unit is more efficient. Energy Star ratings also help consumers tell how efficient the unit is, but rather than using a ratio number, Energy Star ratings are based of federal requirements and government criteria. These numbers and ratings may help consumers in certain states even get a rebate because of the energy efficiency of the unit they choose, the magazine explained. Not every air conditioner is built the same. All have the same goal of cooling your room, but there are plenty of additional features that can help a consumer find the appliance that sticks out from the pack. As Consumer Search explains, you’ll want to look for digital controls, a timer and a good thermostat. Other helpful features include a humidifier function and an easily cleanable air filter. Other things that many people only think of in hindsight include the noise level of an air conditioner, its electrical needs and the durability. Talk to our Designer Appliances staff about your exact wants and they’ll be able to steer you in the right direction.